Pope Francis has admitted that nuns have been sexually abused by priests and bishops, in some cases being kept in ‘sexual slavery’. 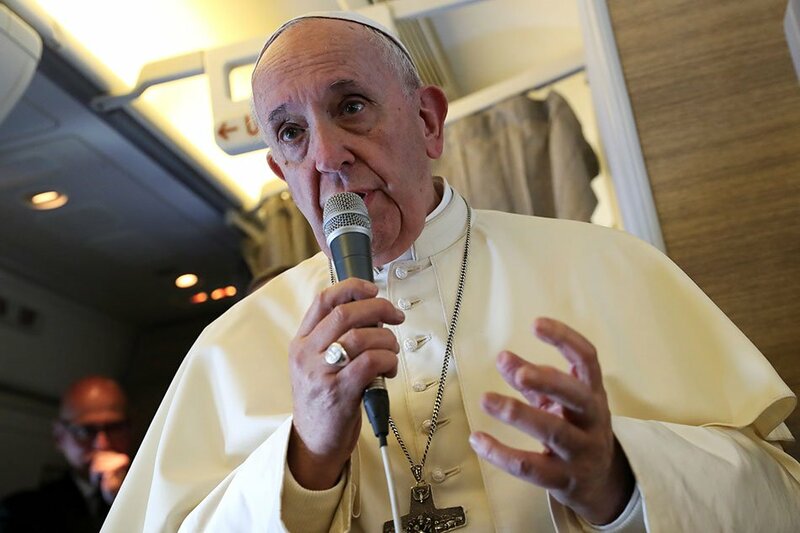 The Pontiff made the comments to journalists aboard the Papal plane during his tour of the Middle East. His admission follows claims in Women Church World – the Vatican newspaper’s women’s magazine – that nuns have had to abort priests’ children. Speaking today, Pope Francis said his predecessor, Pope Benedict, shut down a congregation in France due to the abuse of nuns by clergy. “Pope Benedict had the courage to dissolve a female congregation which was at a certain level, because this slavery of women had entered it – slavery, even to the point of sexual slavery – on the part of clerics or the founder,” he said, reports the BBC. The latest issue of Women Church World praised the Pope for his approach for tackling abuse. However the Pontiff admitted today that the Church must do more to address the problem, admitting it still goes on. “It’s not that everyone does this, but there have been priests and bishops who have,” he said, reports AP News. Last week a Catholic diocese in the US published a list of more than 300 priests accused of historical sexual abuse against thousands of children.